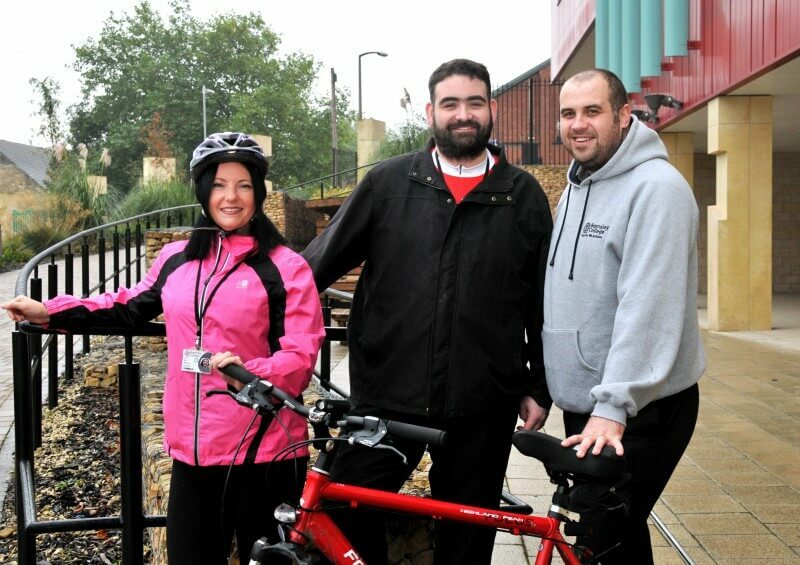 Six Barnsley College staff members have completed another charity cycling challenge by riding through the night from Manchester to Blackpool. Craig Leonard, Gillian Lodge, Garry Lyon, Paul Skelland, Darren Speight and Mia Wesson raised £228.86 for the British Heart Foundation after successfully tackling the 52-mile route from the Trafford Centre to the Lancashire coast. This latest challenge followed on from the completion of the 2013 Coast-2-Coast cycling challenge which saw college staff ride from Southport, Merseyside to Hornsea, East Yorkshire, in aid of Barnsley Hospice and Macmillan Cancer Support. Male college employees have also grown moustaches for Movember in previous years, raising money for testicular cancer charities. The ride is just one of a series of fundraising activities for Mia who is now preparing to cycle the 120 miles from Barnsley to Cleethorpes in November to raise money for the Leukaemia and Lymphoma Research charity. In September she completed the Great North Run in aid of Barnsley Hospice.